United and American have joined Delta and Jet Blue in permitting gate-to-gate use of portable electronic devices, following the FAA ruling making it legal to do so. The FAA had said at the time that airlines would need to perform individual tests to demonstrate that the use of electronic devices during all phases of flight would be safe, and had suggested that this might take some time. With the announcement expected as long ago as March, however, it appears that several airlines undertook this testing in advance of the formal ruling. There has still been no clarification on what constitutes a ‘handheld’ device, but airlines so far appear to be saying yes to tablets and ebook readers and no to laptops. With many tablet and Bluetooth keyboard combos being visually indistinguishable from ultrabooks to non-technical cabin crews, we shall watch with interest to see how the rules are enforced. 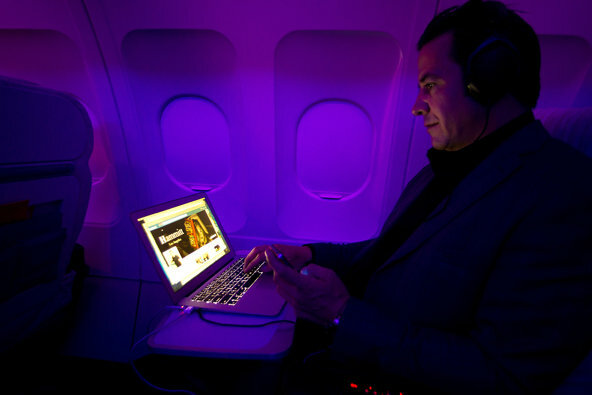 The Federal Aviation Administration’s investigation into whether airline passengers can be allowed to use tablets, eBook readers and laptops throughout a flight is apparently looking hopeful, as The New York Times cited an insider saying approval would likely be granted this year.